It appears that love is in the air and chocolate and roses are flying off the shelves. This can only mean one thing… It’s the day after Galentine’s Day! No, of course, it’s Valentine’s Day, which we all know is a day celebrating the execution of a martyr in Ancient Rome. Aaahh love, right?! Today is the day for couples to celebrate being in love, because apparently every other day is not appropriate for that. More importantly it is a day for single people to not really care about, however judging by internet memes, and Twitter posts, laughing at singledom has become an art-form, and more common than it should be. Today’s culture has become so obsessed with love, and relationships, and marriage, that anyone left by themselves (honestly the best place to be) has become something to be pitied. Look at popular culture and media. From Love Island, to Married at First Sight, to Blind Dates, television has certainly come to idolise “finding the one”. As for music, well, look at any top 40 song and you’ll see that whether it be about falling in love, or falling out, it is still about people’s damn love lives. Film has not helped the cause either. Even a superhero movie can’t make it to the end without some sort of relationship drama. Is that it? Is it the drama? Have we become so bored with our own lives, that watching other people’s life unfold before us, has become more interesting? The culture we live in has dictated that you need to be with someone, be loved, find your “soulmate”, or your life is empty. Well, I’m calling shenanigans on this one. That’s the narrative that people have become immersed in. The ultimate happiness is what we see on our screens, or listen to on our phones. 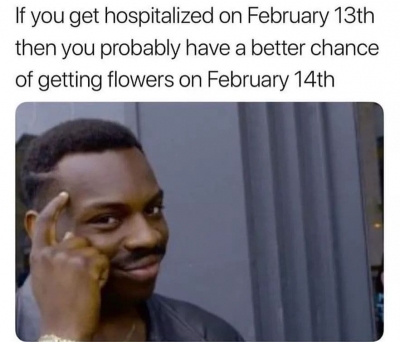 This Valentine’s Day, throw that preconceived notion out the window and continue your life as you would any other day because if it weren’t for card companies and flower vendors, this would just be February 14th. Enjoy. What do you prefer celebrating? Galentine’s or Valentine’s? Let us know in the comments below.